Most months are traditionally allied with one gemstone, while some have exceptionally two birthstones. October is one of the few months that are associated with two birthstones. People use Birthstones for various reasons. Some people use them for good luck, energy, to stop negative vibrations, etc. Thus, it is totally dependent on their way of perceiving these gemstones. The two birthstones related to the month of October are Opal and Tourmaline. This scenario is tremendously rare and these stones generally tell us about every individual’s unique tastes. It is often believed that birthstones have a connection with astrology. Everyone has a different way to envision the world and it is all related to the months they were born in. This is a proven fact that the month you are born in and your zodiac sign plays a vital role in determining your traits and personality. People who are born in October are lucky to have two gemstones: Opal and Tourmaline. Tourmaline comes in many colors but the pink tourmaline is predominantly linked with October. It symbolizes humanitarianism & love. On the other hand, Opal is the secondary birthstone of October that represents faithfulness & confidence. It is also found in 2 entirely opposite colors- red and blue. This is exceptional because red implies fire, while blue implies water and these two have nothing in common. 1. Opal’s shifting play of colors is unlike other gems. Fine Opal’s beauty is imperceptible. Tourmaline gem comes in a rainbow of hues- pink, blue, high-end reds, and greens. Out of these, the accepted colour to represent October's birthstone is pink. 2. 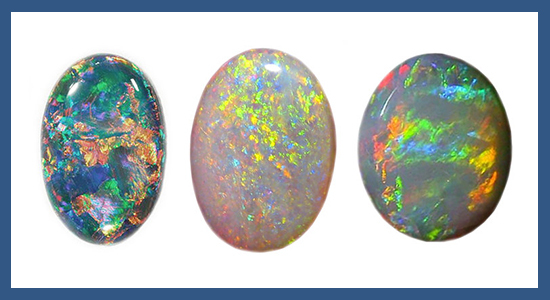 About 95% of the earth’s Opals are found in Australia. They supply Opal from there to all across the world. Back in the 1600’s, the Dutch East India Company used to bring gem Tourmalines of various colors from Sri Lanka to Europe; many of the coloured stones were believed to be Zircons. In 1703, they found out the real Tourmaline from them. 3. The word Tourmaline comes from ‘toramalli’, which means “mixed gems” in Sri Lanka’s native language. While, the word Opal is taken from the Latin word "opalus", which means "a stone". 4. Opal is considered as a lucky stone. It is believed that it safeguards someone from nightmares. Tourmaline is believed to strengthen the body and spirit, especially the nervous system, blood, and lymph’s. That’s why they are known as the cognitive stone. 5. One of the most beautiful and unique Tourmaline stone is of watermelon colour combination. On the contrary, red and blue colour combination Opal is very rare and unique. 6. Opal should be stored in wet places and it should not be worn in the places where temperature changes regularly because it may also explode in those conditions.Tourmaline should be stored in cold places because the high temperature can lead to sudden changes in colour. 7. 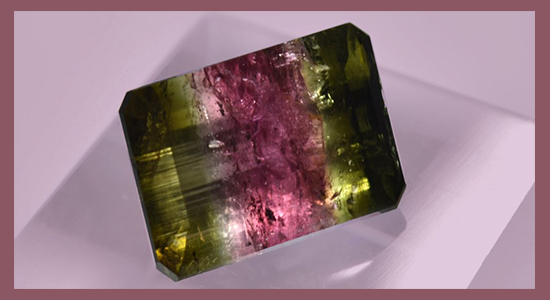 Tourmaline is full of piezoelectric properties. They naturally are electrically polarized and actually contain electric fields. Earlier, it was used as a magnet. Opal was one of Queen Victoria’s favourite gemstones. It is incredibly luxurious. Whether Opal or Tourmaline, both will do its work for people born in October. They both will suit them in their unique ways. By the way, if September is your birthday month then click here to know more funfacts on Sapphire or August is your birth month and you are looking for your birthstone details, click here to know more funfacts on Peridot and Sardonyx . To know fascinating details about the birthstone of July month. Get stunning details on the birthstone of June month, here!